"Alfred Hitchcock's unmistakable cinematic stamp is the inspiration for this re-imagining of It's A Wonderful Life. Bernard Hermann's score for Vertigo serves as the key ingredient to bring out the tension, anxiety and anguish of Frank Capra's film. 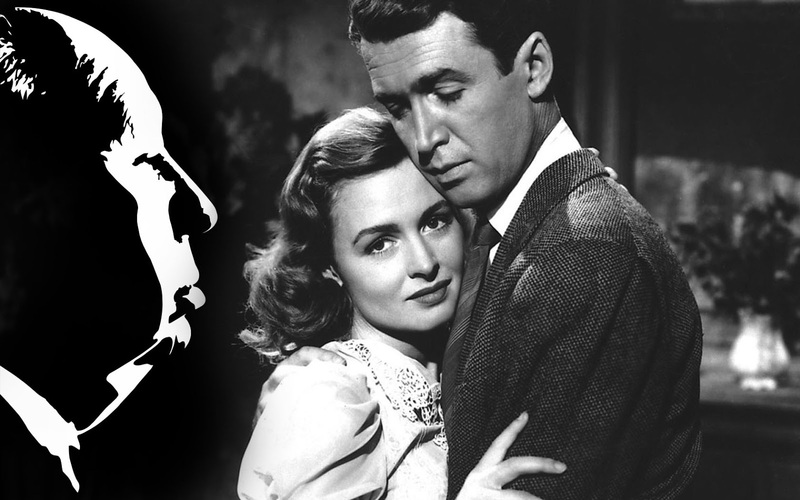 Allusions to other Hitchcock films arise when this Christmas classic starring Jimmy Stewart is recut to feel like an offering from the Master of Suspense." The result is a fascinating rendering that challenges our predetermined image association with Capra's film. The key crossover element here is Stewart, who stars in both Vertigo and It's A Wonderful Life. Brubaker here speaks to the larger dialogue of Video Essayists challenging the vault of moving images, meaning that as viewers are provoked to look at pervious visual works in new lights and with different (and hopefully enlightening) contexts. For me personally, these are types of video essays that are more effective; I'll take a thoughtful and clever remix, mashup or supercut over a monotonous voiceover video essay any of the day week. Watch Brubaker's video below and follow him on Twitter here.